Advance through the game faster by learning how to skip cutscenes, or recap something you missed by rewatching them in Kingdom Hearts 3. While playing Kingdom Hearts 3, some players may find themselves wondering how to either skip cutscenes or rewatch them. During our time in Kingdom Hearts 3, we never considered skipping a cutscene until we reached the world of Arendelle. Here, you not only get to interact with characters from Frozen, but you also get to relive Frozen’s biggest hit, Let It Go. Having heard this song enough times to make our ears bleed, we frantically sought out the "skip cutscene" option. After all, it doesn’t relate directly to the Kingdom Hearts 3 story. Worried that we might’ve missed something by skipping it though, we discovered you can rewatch cutscenes in Kingdom Hearts 3, even if you immediately skipped through them. So, if you’re like us and wish to bypass another recitation of Let It Go, or you want to rewatch a cutscene to enjoy it all over again, we’ve got you covered! Below, we’ll explain how to skip and rewatch cutscenes in Kingdom Hearts 3. You can skip any cutscene in Kingdom Hearts 3. 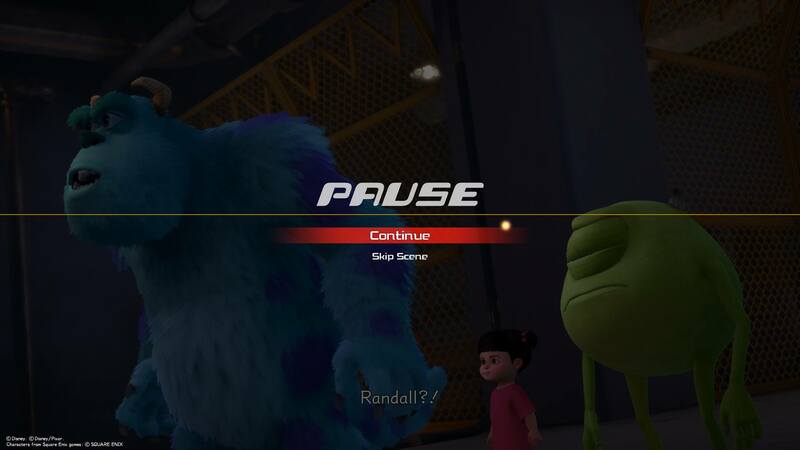 In Kingdom Hearts 3, the option to skip cutscenes is available from the very beginning of the game. For PlayStation 4 users, you can skip a cutscene by pressing the Options button on your DualShock controller, then selecting Skip Cutscene. For Xbox One owners, you’ll want to tap your Menu button located above the Right Stick of your Xbox controller. Again, when prompted you’ll need to select Skip Cutscene. Note that in both versions, you can continue to skip cutscenes even if they appear one right after another. After you skip the first cutscene and enter the second, simply tap Options or Menu depending on your console and select Skip Cutscene again. If you accidentally skipped a cutscene you meant to watch, you can always go back and rewatch it. 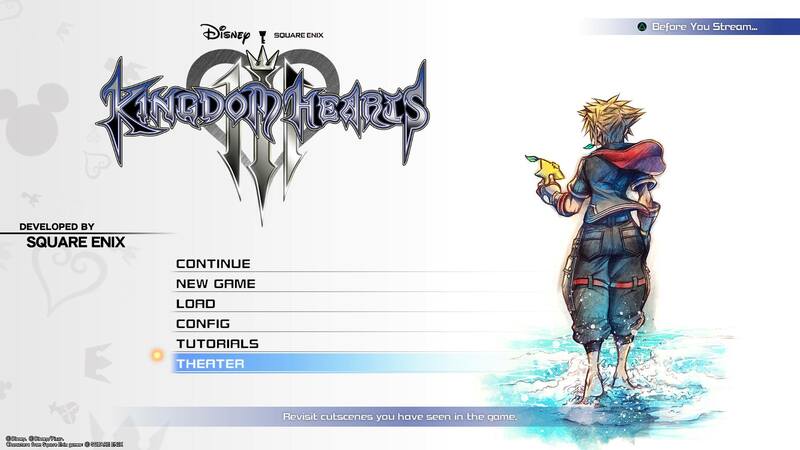 You can rewatch any cutscene, even if you immediately skipped it, by visiting the Theater Menu in Kingdom Hearts 3. To rewatch cutscenes, you’ll need to save your game, then return to the Title Menu. You can do this while playing by seeking out a glowing save point, saving your progress, then selecting the option to return to the Title Menu. Once at the Title Menu, there’s an option at the very bottom called Theater. By selecting Theater, you’ll be able to view each Chapter you’ve played through. To rewatch a specific cutscene, select the Chapter or Interval, then select the cutscene you want to watch from the list. If you select the wrong one, or wish to end the cutscene early, tap the Options button for PS4 and the Menu button for Xbox One to pause, then choose to return to the Theater Menu. To quickly recap, if you choose to skip a cutscene in Kingdom Hearts 3 by pressing Options on PS4 and Menu on Xbox One, you’ll still be able to rewatch it in its entirety by visiting the Theater Menu. So, did you choose to skip any cutscenes in Kingdom Hearts 3? Were there any you went back and rewatched using the Theater Menu? Let us know down in the comments below! For more on Kingdom Hearts 3, be sure to check out some of our previous guides including how to save in Kingdom Hearts 3, how long it’ll take you to beat Kingdom Hearts 3, and all opening choices in Kingdom Hearts 3.